The Most Modern Fish Kids Bedroom Theme Ever! If your kid wants a fish bedroom theme, but you want to keep your home looking modern and fresh then I have the perfect solution. Combine kids furniture and bedding from Argington with a cool lamp by Lite Source and you’ll have the coolest most contemporary fish themed kids bedroom ever! In the above Fish Themed Kids Bedroom Design Board I’ve combined (1) The Argington Ayres Twin Bed covered by the Fish and Pebbles Twin Sheet set. I love this bed because of its modern, sleek design and the bedding also has a modern flair thanks to the golden fish mixed with black and gray pebbles. I’ve also included the (2) Argington Ayres Nightstand that matches the bed perfectly and gives your child great bedside storage and a spot to put a cute fish tank or fish picture. Add the (3) Argington Ayres Organic Fish and Pebbles Quilt to the bed to really make that sleep space pop with fabulous fish design. Last, you’ll want to illuminate the cool fish space with the (4) Lite Source Nakia Chrome Table Lamp in Orange Shade that is in the perfect tone of orange to match the unique Fish and Pebbles twin bedding set. 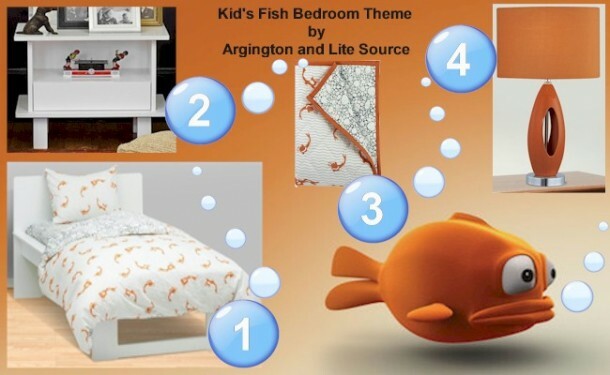 The Argington Ayres Kids Furniture Set is coated in a non-toxic White stain to be extra safe for your child and all the bedding is organic to create the healthiest sleep space for your little fish lover. To view the entire Argington Furniture Ayres Collection and Lite Source Lamps visit us at SimplyKidsFurniture.com today! Parents who want to design a very modern kids bedroom have to check out this video. It features 50 of the best modern kids bedroom designs from 2011. When watching this video, if you see a room you like, click the pause button and take some notes. 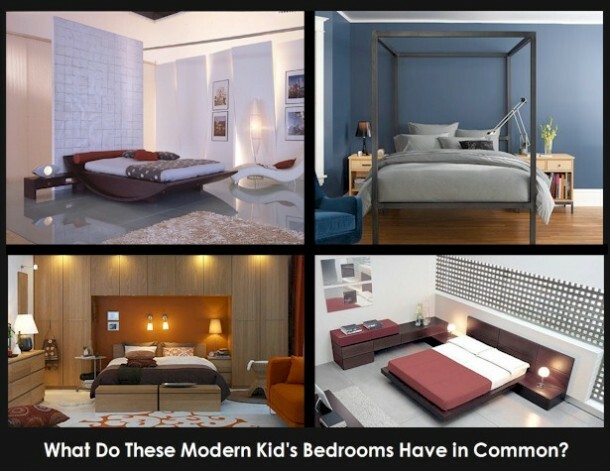 Then you can visit our site and check out all of the modern kids furniture that we offer to see what will work best with your bedroom design plans. Some of the more modern kids furniture brands today are Powell Furniture, SouthShore, Offi, Oeuf, Coaster and Argington. 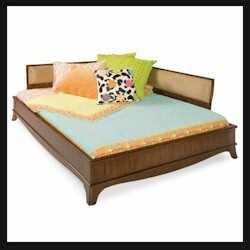 There are also many other kids furniture brands that have a mix of modern and classic collections. To view them all visit our kids furniture brands page today! There’s no doubt that after watching this video you’ll have tons of ideas how to make your kid’s bedroom the most modern space in your home! When kids turn thir-TEEN strange and crazy things start to happen. They instantly develop new opinions on just about everything including kids bedroom design. Most teens crave a change at that point and expect mom and dad to foot the bill. If you’re reading this you’ve been forewarned and can prepare, early on, for your teen’s demand for a new and improved space, so that when the time comes you don’t have to shell out too much of the green stuff. Famous interior designer Kyle Schuneman shares some really clever design tips on how to transform a kids bedroom into a teen’s room by using the same kids furniture in a new way. After you watch the following clip make sure to read below to check out some of our extra tips on setting up a kid’s bedroom that your child can enjoy till adulthood. Kyle started off by showing how to use storage cubbies for keeping baby books and toys in order then transforming the cubbies into a base for a kids desk. I thought that was pretty brilliant. Here’s my spin on that same idea using some of the kids furniture we offer. You could get several Badger Basket Two Bin Storage Cubbies in your choice of blue, red or espresso and stack then as high as you want to offer your child lots of storage options. Then when your youngster reaches the teens, take those same cubbies, stack them two or three high then create that same type of kids desk that Kyle suggested by getting a shelf from a local hardware store and painting it a matching or coordinating color and laying it across the top of the stacked cubbies. The next super cool idea that Kyle suggested was to take a locker and turn it into a nightstand. Considering that lockers may not be everyone’s “thing” I’d recommend getting the DaVinci 6 Piece Complete Storage Cabinet in Espresso that can offer the same versatility and storage, but is sure to look great in any space. This six piece unit comes with individual storage pieces including a base unit, two door hutch and open hutch to offer hidden and open storage spaces. Each piece can be stacked to create any type of storage area your child needs. 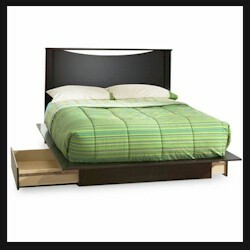 They can also be separated, using two bases on top of each other to create a handy nightstand for your teen’s bedside. 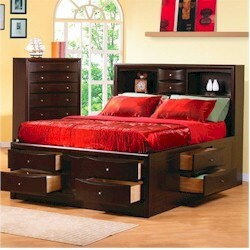 The additional cubbies can be added to a dresser top or hung on a wall. The thought of using a toy box as a shoe box was a great idea, but I took it one step further. Why not get the KidKraft Wood Toy Box Chest in either White, Black or Honey and use it to store toys during your child’s toddler years then shoes or books later on, plus use it as a bench through your kid’s teen years. You could even add a plush cushion up top for extra comfort and put it at the end of the bed or under a window to offer your teen a great reading seat.